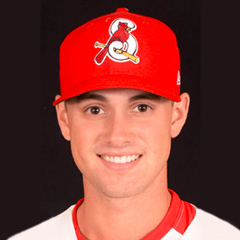 The Springfield Cardinals of the Double-A Texas League had one of their more down seasons in recent memory by the wins and losses, but certainly held their own considering a young team adapting to an advanced league and plenty of roster turnover in the process. Despite not making the postseason for the second straight season, the S-Cards had many new arrivals earn a chance to develop at Double-A and the organization enhanced their depth in arms from trades that contributed at Springfield by the end of the season. Not only that, but more importantly, Springfield played a big role in Triple-A Memphis’ current playoff run to the Pacific Coast League title. A lofty 15 Springbirds from the 2018 season are on the Redbirds postseason roster. That number swells to 18 if you count injured Ryan Helsley, Landon Beck, and Andrew Morales. 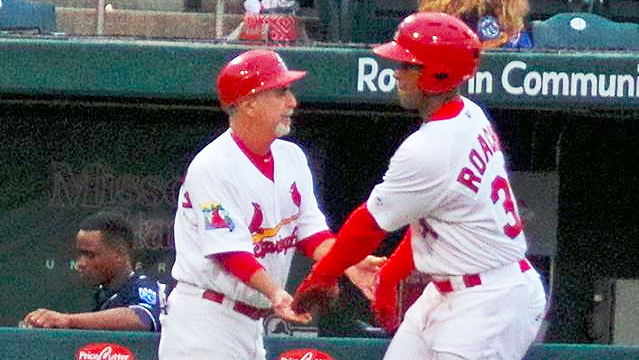 Springfield manager Johnny Rodriguez explained with all of the transactions at the top in St. Louis with the youth movement at the major-league level – many were pushed to higher levels to backfill despite not quite being ready for that next step of competition. “Some other guys took advantage of that and really took steps forward,” Rodriguez said, listing Tommy Edman, Ramon Urias and Edmundo Sosa as examples. “It’s a good (recipe). There is always a positive. We want to win, no doubt. But you want to create a winning culture at the low levels going up. As long as you have a continuity of development, players moving and playing at this level, learning how to play to this level and getting ready for the next level. Then you will always have a pipeline going right to the big leagues. 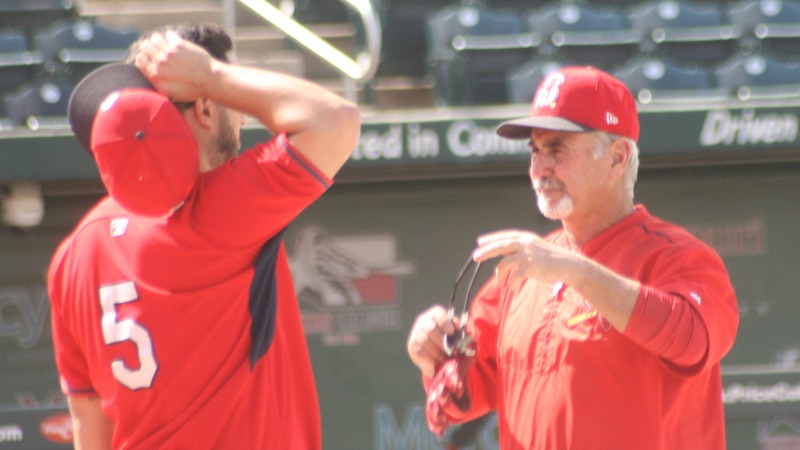 The 2018 edition of the Cardinals featured a lot of inconsistency, mostly due to their youth while playing in a league that this year was considered older, according to Rodriguez. With a 33-37 first half and 27-42 second half, the club ended a combined 60-79 on the season, a dismal .432 winning percentage. That is the worst mark in the division and just a half-game from worst in the league. On a positive note, the Cardinals finished only two games out in the first half, but still finished in last place. They played .500 ball at home (19-17), but struggled to grind out wins on the road (14-20). Springfield had losing records both home (15-18) and away (12-24), finishing 13 games out of first, in fourth/last-place. The Texas League is a full-season league made up of a 140-game regular season, which began April 5 and concluded on September 3. The eight-team league is divided into two divisions with the Cardinals Double-A club placed in the North. Springfield got out of the gates strongly, taking 13 of 22 games in April. The offense led the way with a .282 average, but the pitching was exposed as its 4.82 ERA indicates. The Cardinals offense slowed down to a .249 collective average in May and the club dropped 17 of 31 games, but still remained in first with a half-game lead. But as the first half wound down, Springfield lost 11 of its final 17 games as they fell from first to last-place in the matter of three weeks. Arkansas won the first-half title. As the records reset, Springfield could not find any early momentum, losing nine of its first 10 games in the second half. The Cards followed up a dismal June (7-19) with a much-improved July (16-14) as they entered the dog days of August in third-place with a 17-22 record, three and half games out of first in the second-half race. The key behind their success was a more stabilized bullpen. That said, the Cardinals lost that momentum again and finished with a disappointing 10-19 record over the final 29 games. “With all of our movement, I’m not going to look at the record,” Rodriguez said. “I’m going to look at all the positives. We did continue to fight and continued to play hard. A lot of positives came out of (Lane) Thomas, Edman, Sosa, (Chris) Ellis, (Evan) Mendoza getting the experience here, and Andy Young. “We held our own in a league that this year was older. We had a right-handed lineup. We didn’t have that bad of a year. I think we gave up leads towards the seventh inning – 17 or 18 (times). The bullpen hurt the team’s performance. When you blow over 20 games when you have the lead after the seventh, you split that and just blow 10 – I’m in first-place or a game and a half or two with three left playing (Tulsa) for the (second-half) championship. In aggregate, Springfield was younger than most of its competition. Of the eight teams in the league, both the Cardinals hitters and pitchers averaged out as the second youngest in the Texas League. Specifically, the position players were 23.5 years of age compared to the league average of 23.8.The hurlers averaged 23.6, a half-year under the TL average of 24.1. As an organization, the Cardinals have traditionally been known for their pitching. This year’s version of the S-Cards were led by the offense, however. A key reason behind Springfield’s struggles in 2018 was the 4.58 team ERA, seventh in the eight-team league. 20 different pitchers started for Springfield in 2018, including Anthony Shew with 19, Connor Jones with 17, and Jake Woodford with 16. Big-league rehabbers Adam Wainwright, Carlos Martinez, and Michael Wacha also started games. The 2018 pitching staff, tutored by first-year pitching coach Darwin Marrero, logged the already mentioned ERA of 4.58. The league average ERA was 4.18. Another negative about the Springfield pitching staff was the fewest amount of punchouts (991) in the league and couple that with the most free passes (505) does make for a good recipe for success on the mound. With 70 hit by pitches, the Cardinals had the second-most in the league, trailing only Midland (OAK) with 79. They also served up the third-most long balls with 128 on the season. In terms of baserunners, the Cardinals’ WHIP of 1.42 was sixth-worst in the Texas League. The league average was 1.36. By contrast, Springfield’s starters (4.49 ERA) were much more effective than the relievers (4.70 ERA). Under second-year hitting coach Jobel Jimenez, the Cardinals offense was a powerful group, ranking second in the league with 149 homers. Although, Springfield was sixth in runs per game (4.46), compared to the most prolific offense in the league at 4.94. The league-average was 4.59. The Cards were just fifth in batting average at .260 and seventh with a .319 on-base percentage. However, they were second with a .408 slugging percentage and fourth with a .727 OPS. In counting stats, the Cardinals were dead-last in doubles (205) and seventh with only 21 triples. A shortfall across the entire system, including the big-league club, is stolen bases. Springfield stole just 69 bags, second-fewest in the league. Fielding was a strong suit for the 2018 Cardinal,s an emphasis under the defensive-minded manager Rodriguez. The club’s fielding percentage was tops in the league at .982 and they turned the third-most double plays with 332. The catching was also a strength as Springfield had the third-fewest passed balls (nine). The catching corps threw out only 29 percent of attempted basestealers, though. That is only sixth in the league. The league average is 31 percent. The 25 players on the active Opening Day roster included a whopping 14 returning players who spent time at Double-A last season. From among those returnees, Ryan Helsley, Andrew Knizner, and Randy Arozarena headlined the initial roster. Although Arozarena spent much of the 2018 campaign at Memphis, Helsley missed a lot of the season with a shoulder issue and Knizner had two stints up at Triple-A. Tommy Edman, John Nogowski, Connor Jones and Darren Seferina were also key returnees, though the latter was released after only 20 games due to a slow start. 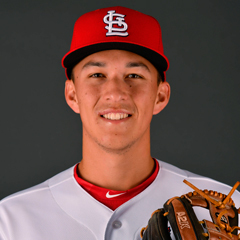 The Cardinals Opening Day roster also featured 11 newcomers, led by Jake Woodford, Conner Greene, Sam Tewes, Hector Mendoza, Edmundo Sosa and Ramon Urias. 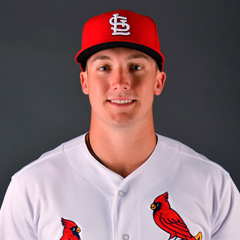 In addition, there were several brand-new Cardinals, including breakout star Lane Thomas, power-hitting outfielder Victor Roache, and Granden Goetzman, who was released in late June. 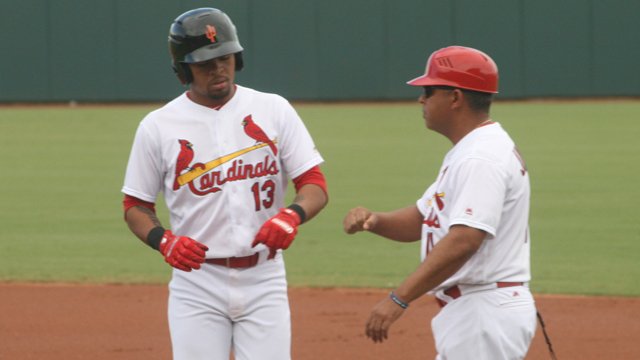 As the season went on, the Cardinals added a number of players from High-A who contributed – position players Evan Mendoza, Andy Young, Stefan Trosclair, Blake Drake, Johan Mieses and Chase Pinder. Pitchers Anthony Shew, Mike O’Reilly, Casey Meisner, Evan Kruczynski, Austin Warner, Junior Fernandez, and Will Latcham also joined the club. 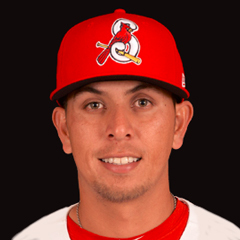 Derian Gonzalez, who is on the Cardinals 40-man roster, joined the club after rehabbing from an injury with the Gulf Coast League Cardinals. In-season acquisitions made an impact to the team’s success as well. Those joining Springfield through trades include Genesis Cabrera, Seth Elledge, Roel Ramirez and Elniery Garcia, all pitchers. Others who contributed include Thomas Spitz (released), Jeremy Martinez, Chris Chinea and Luke Dykstra (released). Pitchers include Ramon Santos, Matt Pearce, Jacob Evans (released), Landon Beck, Estarlin Arias, Ian McKinney (released), Yeison Medina, Austin Sexton, and Colton Thomson. In total, Springfield made 175 player transactions this season. Rodriguez noted a number of standouts on this year’s Springfield team. Another standout was Andrew Knizner. Here were the rest of Rodriguez’s comments on standouts for this season. “Sosa took advantage of playing a lot,” Rodriguez said. “Mendoza took advantage. Young played a lot. We have added some good arms in (Elniery) Garcia, (Roel) Ramirez, (Genesis) Cabrera, and (Seth) Elledge. “We had a good addition in (Johan) Mieses. He is a kid that is still young and has some potential with the power. (Victor) Roache didn’t last the whole year. He could have had a better average, but showed some improvements. As a team, the 2018 Springfield Cardinals had a predominantly young team with an up-and-coming pitching staff, powerful offense, and superb defense. While the competition in the division proved to be older and wiser, the Cardinals held their own. From the development perspective, the club provided many battle-tested players to Triple-A who continue to help Memphis in their playoff run. Link to master article with all 2018 award winners, team recaps and article schedules for the remainder of this series. 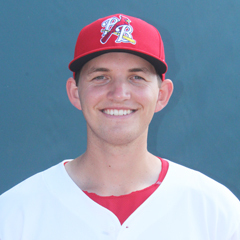 Of course, that will include our selections as the Springfield Cardinals Reliever, Starting Pitcher and Player of the Year.